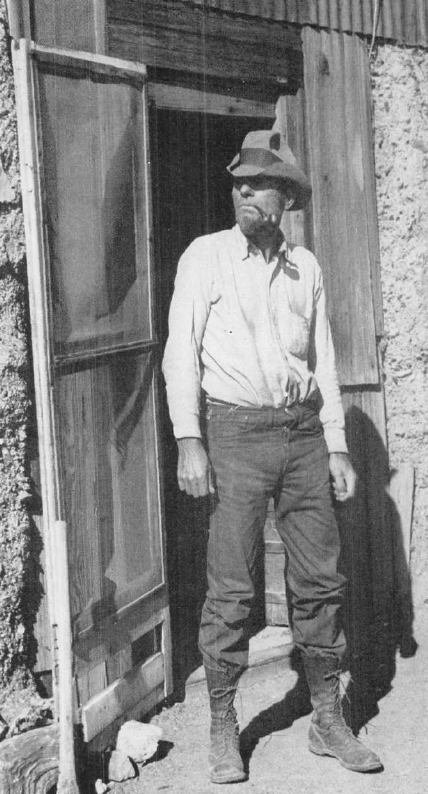 The bonanza days in the Death Valley region have long since passed, but grizzled prospectors are still picking away in the hills, confident that rich ledges of gold and silver are yet to be uncovered. Ballarat was one of the boom towns in that area in the late ‘nineties. Only crumbling walls and a few weathered shacks remain on the treeless landscape to mark the site of the town today but some of the veteran mining men still spend their winters there—and Ballarat will never die while these old-timers remain to recall tales of the past and keep their faith in the new strikes yet to be made. This is the double-boarded jail of old Ballarat, where the doors were never locked. They are a restless lot, these surviving desert rats of the old days—here today, tomorrow somewhere in the mountains 20 miles away. They come and go like the ghosts of the gala, golden era in which the town sprung into being. 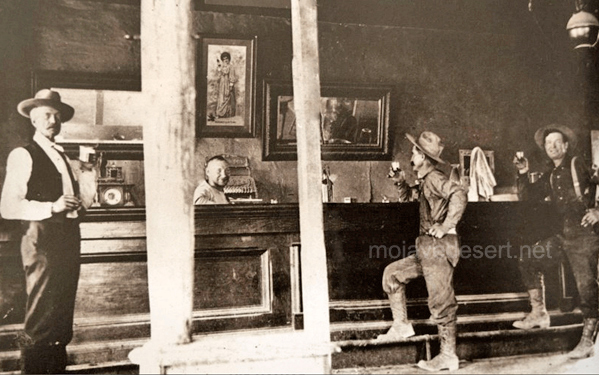 Panamint Tom, the killer Indian; Shorty Harris, the most successful—and the most unlucky—prospector who ever packed a burro; French Pete, and a hundred others—famous and infamous—had a part in the boom day era. And one other, whose name on the desert is synonymous with Ballarat—Chris Wicht—-0l’ Chris, who ran the saloon, kept it open in fact long after the town itself had died. Chris Wicht’s Headquarters Saloon, Ballarat. He doesn’t think he was generous. “I had it. They needed it. They paid me when they could,” is the way he puts it. Maybe that’s why, whenever you mention Ballarat in a desert mining town, someone remembers Ol’ Chris. 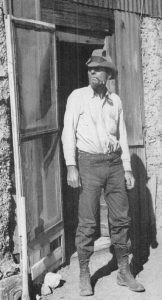 We were 200 miles away, having coffee at Big Rock springs on the edge of the Mojave, when we first heard about him. It was in October, 1940. We were on a hunt for ghost towns in the desert. Chris Wicht went broke at Ballarat grubstaking the prospectors—and now he operates a neat little cabin resort in Surprise canyon. Ballarat’s heyday was between 1895 to 1907. 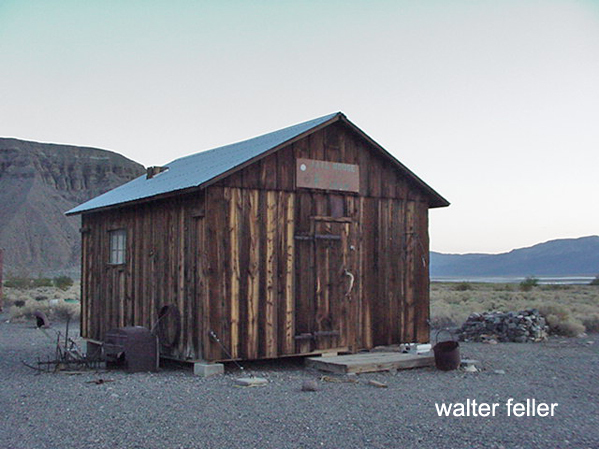 Then it was a bustling supply center for Panamint valley prospectors—a link between the borax mines in Death Valley and the outside world. It was 15 years later that Mrs. Bland first saw the old camp. Then it was just a cluster of buildings in a beautiful barren setting. There was a hotel that nobody used, a closed store, a post office where mail never came or went. Ol’ Chris and his saloon were all that was left. The government had found out that it had a post office that wasn’t being used and a postal inspection must be made. The postmaster who had also been the grocer, had just drifted off after the others. The postal department sent an elderly dignified Bostonian, whose habits of living had made him hopelessly useless according to desert dwellers’ way of thinking. The train dropped him at Randsburg, and since the bus driver was away, Mrs. Bland, whose husband was then the Randsburg grocer, was elected to take him to Ballarat in her Model T Ford. “It was a cold, threatening day,” she related. 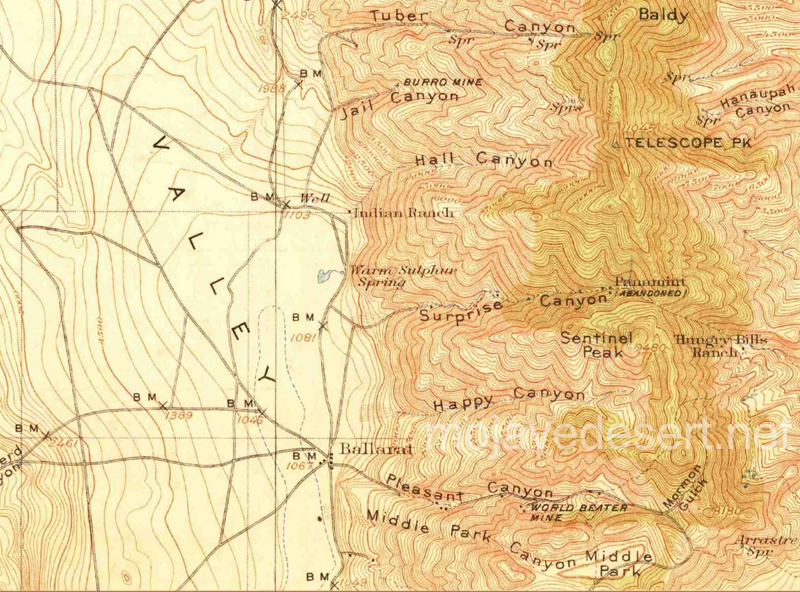 “The road over Slate range was just two deep ruts with a high ridge between. There were hairpin turns around cliffs that dropped 600 feet. Buzzards circling overhead. “The postal inspector was nervous. All he could see were mountains of rock, a few buzzards in the sky, and way below a wide barren flat. You could almost hear him shudder. I pointed out Ballarat – just a speck at the foot of the range on the other side of the valley. He didn’t see how people and animals could live there. What, for instance, could those big birds find to eat? “I tried to wither him with a look. 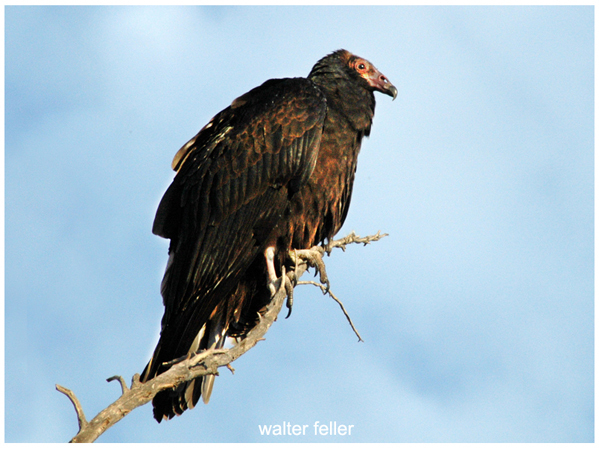 ‘Any old carcass is a feast to a buzzard,’ I said, and that stopped all small talk till we got to Ballarat. “It was late afternoon, but the sky was already dark because of the storm clouds. Chris Wicht came out and met us. I liked him right away. He helped us open the old store, and the inspector got out the combination to the safe and started to work. He was pretty sure of himself at first, but after about 10 tries he became a little upset. So was I. I didn’t like the looks of that storm coming on. ‘Why don’t you give it a good cussing?’ Ol’ Chris suggested. ‘That’s the way the grocer used to make it work.’ The inspector wouldn’t even look at him. But he got up and handed me the figures. He said he guessed he didn’t have the right touch. “Chris had never herded a burro, but he did all right. But even that didn’t work this time. “I was ready to start for home. But not the inspector. He took back his figures and started in all over again. Chris watched him awhile and shook his head. ‘I think he needs a drink,’ he said. “I sat down and chewed my fingernails. Finally I couldn’t stand it any longer. I asked him to look outside and see the storm coming up. And I told him about the water spout that hit Surprise canyon a couple of years before and cut a 20-foot gully where there used to be a road. I tried to make him understand that it doesn’t just rain in this country—it pours. And that even a Model T didn’t have a chance, and the road across the dry lake would be just as slippery as a gravy dish and we had 65 miles of rough desert road before we got back to Randsburg. I must have made an impression finally because he said he guessed we might as well go. 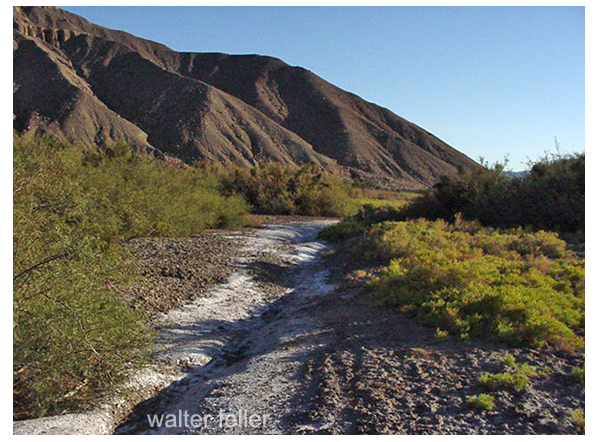 “I helped him into the Ford and we jogged out of town over the long washboard of road that crossed the valley. I couldn’t tell whether the inspector’s teeth or the Ford chattered loudest. I was holding the throttle open as far as was safe. But I needn’t have bothered. The car stopped just before we got to the foot of the range. Ballarat was at least 10 miles behind us. “I checked the gas, the plugs, even used my nail file on the points. It wasn’t any use. ” ‘Unless you know more about the insides of this thing than I do, one of us will,’ I assured him. “He slipped down in the seat. ‘I never drove a car in my life,’ he said. “I asked him how he was at walking. He just looked out into the darkness and shook his head. I wondered what the post office department was thinking of—sending a city man to Ballarat. “Well, it was a rough hike, but Ol’ Chris welcomed me at the end of it with a warm fire and a cozy chair. I suspect he enjoyed the inspector’s predicament. He said he’d get a burro out to him. He sent an old prospector and two burros. They returned hours later with a storm-washed inspector whose pince-nez dangled sadly on its chain. After hearing her story we wouldn’t have missed seeing Ballarat. Going over the Slate range we knew that except for grading, the road couldn’t have been changed much. There were the same sheer cliffs, the same hairpin turns, even a buzzard circling overhead, with Ballarat a little group of patched up buildings at the end of a ribbon of road across an alkaline flat. 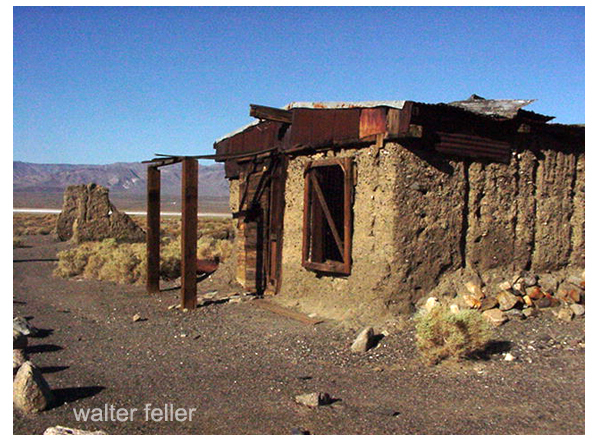 Half a dozen men, a woman and her son, made their homes in the old structures and managed to find a living in the jagged forbidding range of the Panamints. Even the old double-boarded jail had become somebody’s home. It didn’t look as though it had ever been very strong. Most of Ballarat’s prospectors pull out when summer comes. The men all have cars of one sort or another, and the High Sierra isn’t too far away. Some of them go up there and fish the summer away. Others have destinations unknown and never mentioned. Like Slim Ferge—Seldom Seen Slim. If the winter was lucky, he just disappears. 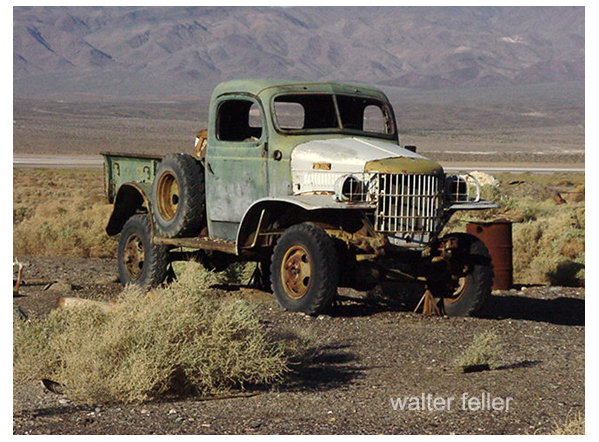 When he’s broke he comes back—goes into the Panamints a few ore samples—sets up beside the highway in the Mojave, sells the samples to tourists for a new stake and starts all over again. Most of the prospectors are hunting for gold. The Panamints have low-grade silver, but mining it is not profitable according to Chris Wicht, who has a whole canyon of it and ought to know. Some of the newcomers have found scheelite, which is composed of calcium and tungsten oxides. Tungsten is an important factor in the manufacture of armaments, and with an eye to the future and war industries booming, they know the supply can never equal the demand. The essential part of their equipment” is a violet ray lamp with batteries strapped to their chests. The light picks out the ore in little glowing patches. That was news! A resort in Surprise canyon. “How are the roads?” we asked. We didn’t go down around Granite wells, but we decided, bumping along the road up Surprise canyon, that Seldom Seen Slim had a real sense of humor. We even wondered if it wouldn’t be a nice idea to write Henry Ford a letter, providing there was anything left of our car to write about. But, at that, it might not have been so bad if we could have forgotten that the deep ravine beside the narrow ledge of road was where another road used to be and a waterspout took it out. Chris’s place is a little paradise in the Panamints after you get to it. He has a group of neat furnished cabins and running water the year round. He’s even built a swimming pool where customers can “dehydrate” when the weather gets really hot and, for ultra modern convenience, he’s put in his own electric light plant. Crude, maybe, but it works. He had to use what he could find—a water wheel from an old mine and an old Dodge generator. Chris thinks there isn’t any place like the Panamints. He doesn’t work his claim much. “If it was gold,” he says, “it would be all right. But by the time I’ve loaded silver onto the trucks, hauled it in and had it smelted, there isn’t anything left.” He still has faith in Ballarat. 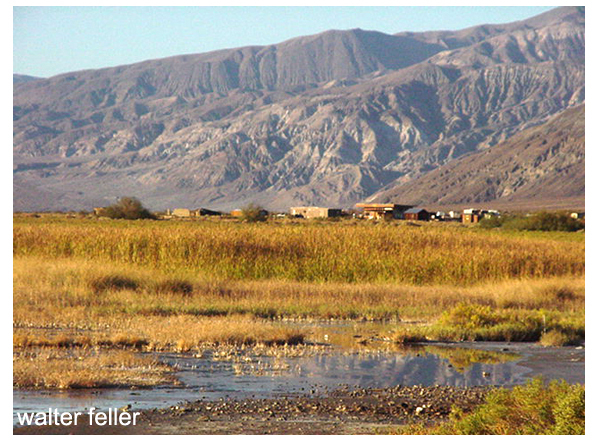 “There’s plenty of gold left yet in the Panamints.